Second Day of PTC 4 (Paul Hunter Classic) continued as some surprising results were produced. Ireland's Fergal O'Brien struck Ding Junhui in Last 32 from 1-3 to win 4-3. Though Ding made 139, 69, 55, O'Brien earned his victory by strong safety game. O'Brien had a thrilling victory early the day. He defeated his fellow country man Joe Dolaney 4-3 on the final black in the decider. O'Brien is now safely landed in Last 16 which plays Michael White on Sunday. 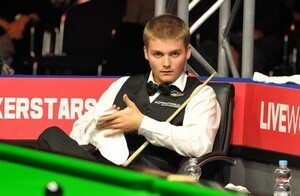 Michael White shocked Shaun Murphy and Martin Gould today. 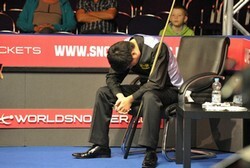 White had a walkover from Liang Wenbo's withdrawal in the first round before his second round match with Shaun Murphy. White beaten Former World Champion Murphy on the TV table. White then overcome Crucible quarter-finalist Gould to secure a place in the Last 16. Thai player Passakorn Suwannawat surprisingly sent Mark Williams home in the second round by 4-1. He had a terrific day as sent another World Champion home, this time was Ken Doherty. He set up a match on Sunday with Jamie Jones, who defeated PTC3 Winner Ben Wollaston and Jack Lisowski. Neil Robertson, Mark Joyce, Jimmy Robertson completed the last 16 line-up on Sunday.